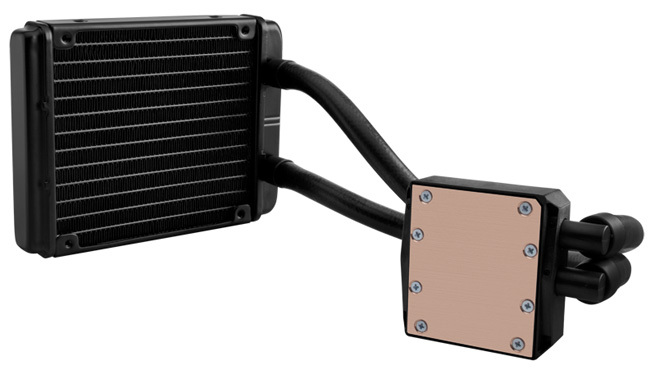 Upgrade from your stock CPU fan or bulky air cooler to the efficiency and simplicity of liquid CPU cooling. 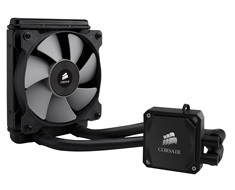 Enjoy better cooling performance and lower noise, and protect your investment in your CPU. The modular design makes installation simpler, and it's compatible with Intel and AMD processors. 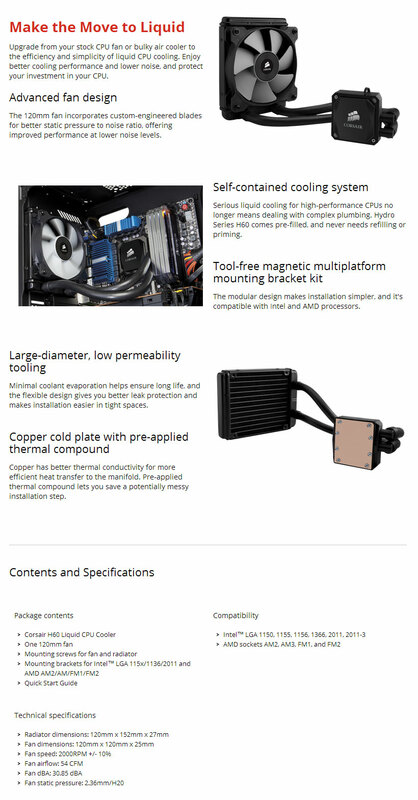 Compatible with Intel 1150, 1155, 1156, 1366, 2011, 2011-3 as well as AMD Sockets FM1, AM3, AM3+, AM2 and AM2+.